These days, Brides are as fashion-conscious about the styling of their big day as they are about their dress and hair. 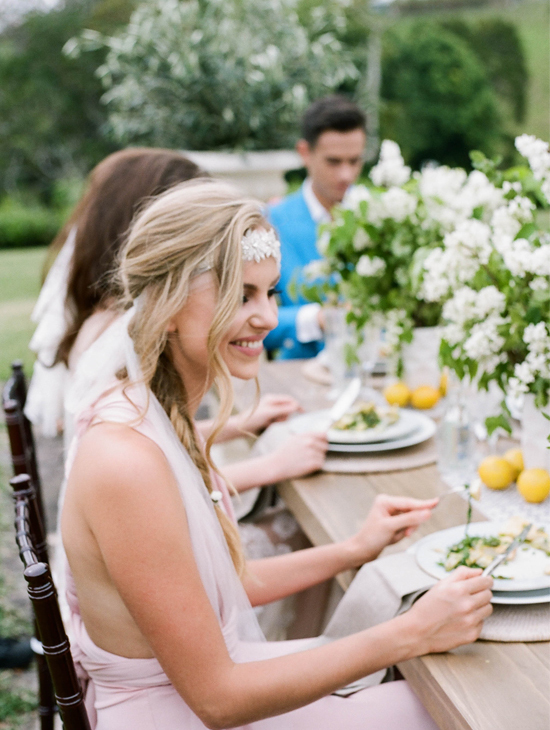 We sat down with leading wedding planning company, white+white Weddings and Events, to chat about what's happening in the world of wedding planning and styling, and find out which trends to watch out for this wedding season. 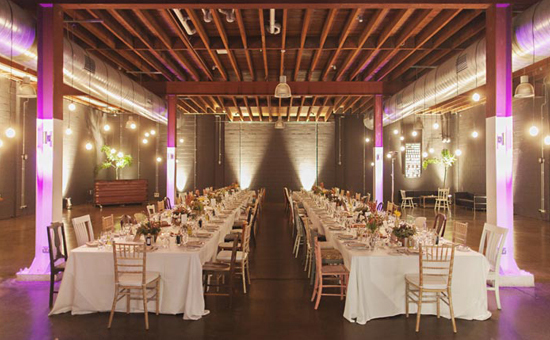 From midnight feasts, to destination weddings, well-groomed grooms, and Gatsby-inspired receptions, these ladies know what they are doing when it comes to creating perfectly styled events. TUL: What are the top trends we can expect to see at weddings next year? w+w: The re-make of The Great Gatsby film has really created a style of its own, filled with lots of extravagance and decadence. Gold accents, feathers, and all things glitter-covered are as popular as ever. 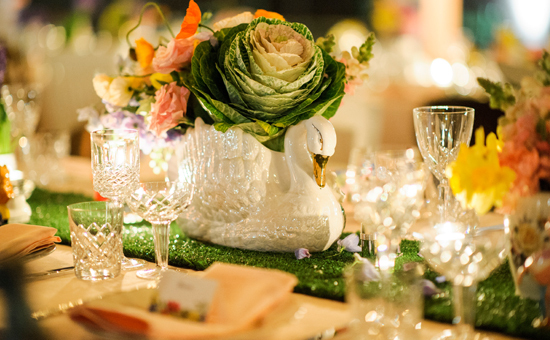 There is nothing more eye-catching than a guest table overflowing with gold. Think gold votives amongst gold charger plates with gold coloured cake and dessert. Want more? Gold cutlery along with gold-foiled stationary are also hot wedding must haves for this stylish trend. w+w: And decadent and glittering gold doesn't have to stop at the tablescape. Gold furniture matched with sleek modern pieces, particularly in black, is a dazzling combination. Recently, white+white transformed an urban space into a modern, New York-style swanky rooftop apartment. w+w channeled the gold Gatsby trend and transported guests to an era of overindulgence and excess using gold statement pieces combined with contemporary black furniture. w+w: Think mermaids… Glistening, glittering, and shimmering. That's what comes to our minds when someone mentions sequins. (Mind you, we are mermaid obsessed!). Sequins are a hot trend this season and are only going to get bigger. And, really, who doesn't love a stunning embellished gown? Sequin dresses are popular both for the ceremony and for a quick, stylish change for the reception. But it's not just the dresses that we love to see covered in sequins. Tablecloths and table runners are also often requested in a beautiful sparkling sequin. Now is the time to get your mermaid on! w+w: We are seeing a real trend with the versatile chevron print. From tablecloths and runners to decorative cushions, this pattern is oh so popular. Originally, it was seen at preppy, nautical events in yellow and navy. However, Brides are now exploring the print in pinks, creams, and golds, and even adding glitter and sequins! This all-round print isn't only restricted to styling though – it can be used as a complementary detail throughout your entire wedding and plays the perfect part in stationary and the cake! Whether you want to add a modern edge or a decorative polish to your day – chevron is the flawless addition! w+w: Chairs are a hot topic at the moment! Gone are the days of chair covers with bow sashes! Brides now have an array of styles and colours to choose from. From the classic white tiffany, to the gold Neapolitan, to the rustic bentwood – there is a chair to suit every style of wedding. And a long with all these beautiful options is the chair detailing trend. Floral + ribbon accents, rustic signs, and fabric touches have all been added to bridal chairs – lifting the room and completing the overall look. TUL: Couples are becoming more and more experimental with the type of event they want to hold. 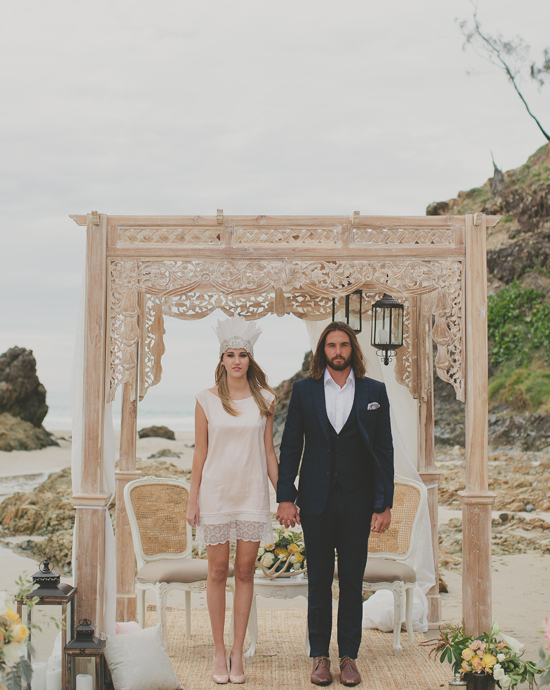 What are the hot trends in ceremonies and receptions? w+w: Couples are moving away from the large formal wedding and opting for a more informal party-style wedding, with less guests and formality. The focus is on spoiling themselves and their guests with great food and wine in an amazing location. With fewer guests, couples are able to create their ideal wedding, indulging their guests with the finer things, and keeping to their budget at the same time. Long lunches are a popular choice! Picture a brunch time ceremony followed by a day of dining, perhaps some fun activities, whilst taking in the views of the immediate surroundings and celebrating into the night. w+w: Couples are choosing to bring the outdoors in — no wet weather plan required! 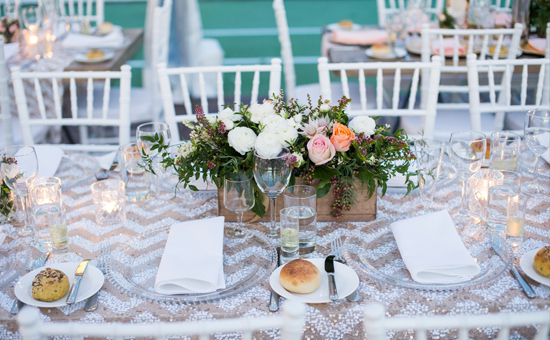 We are seeing wooden tables, floral runners, and relaxed seating options become stylish selections for our brides. Picture an indoor garden party, complete with live trees, overhanging floral installations, exposed lighting, and a faux turf bar. This trend is the perfect solution to a garden wedding without the stress of potential wet weather. 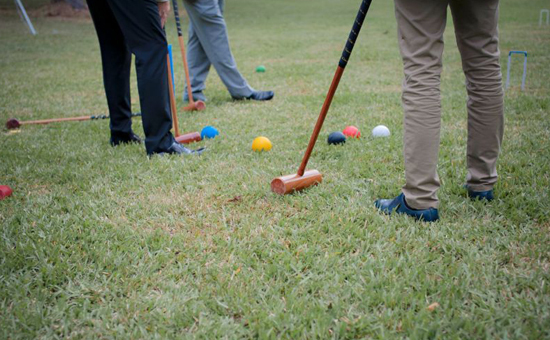 Throw in a flamingo and some croquet for good measure. Your guests will never forget this one! w+w: Cocktail style receptions are emerging as a popular choice amongst couples looking for a more informal approach to their wedding and who would like more time to mingle with their guests. In the past, cocktail style weddings have received a bad wrap often only offering a limited amount of seating and canapé food, but the cocktail weddings white+white create use creative seating arrangements to ensure everyone is comfortable. white + white like to be able to seat around 60% of guests during any form of cocktail-style occasion. 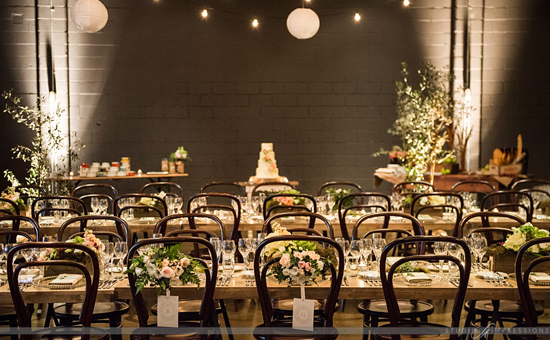 You and your guests can be make yourselves comfortable on a range of seating options, including lounges, dinning chairs, ottomans, stools, bench seats and even hay bales for the more country inclined bride! 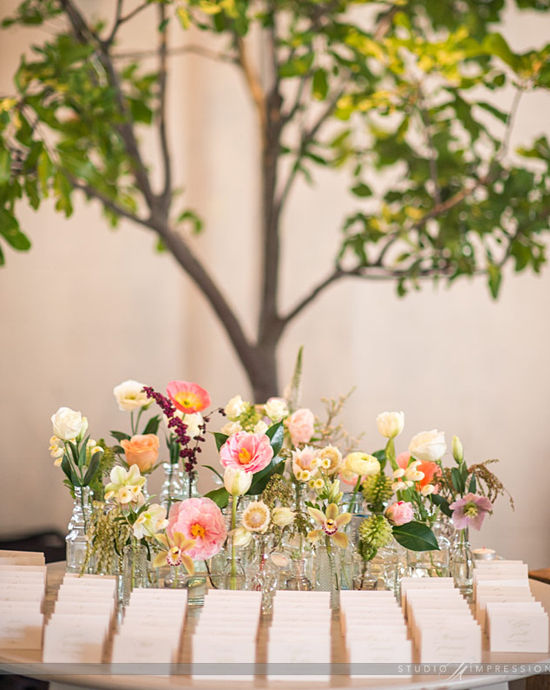 Adding depth and dimension to your cocktail wedding will ensure the event is kept interesting and not just a sea of chairs. 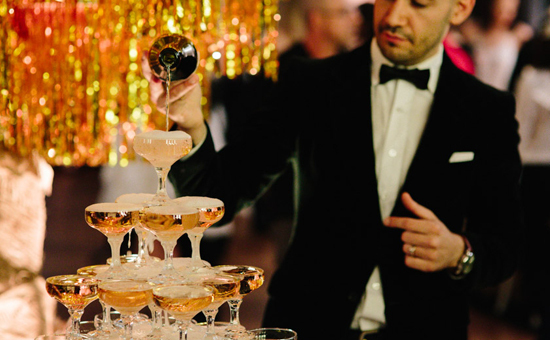 Want your cocktail-style wedding to be even more informal? Why not lose the chairs altogether?! 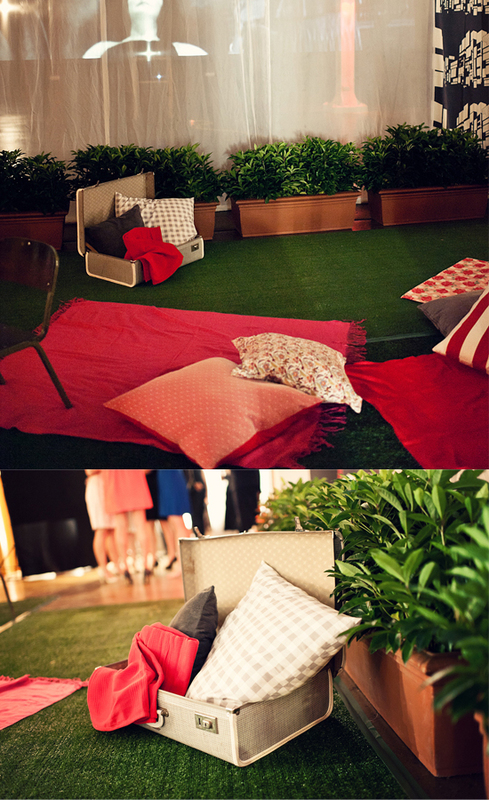 Transform a beautiful space into a picnic or outdoor cinema. Equip the space with cosy rugs and embellished cushions, and enjoy the bubbly and company! 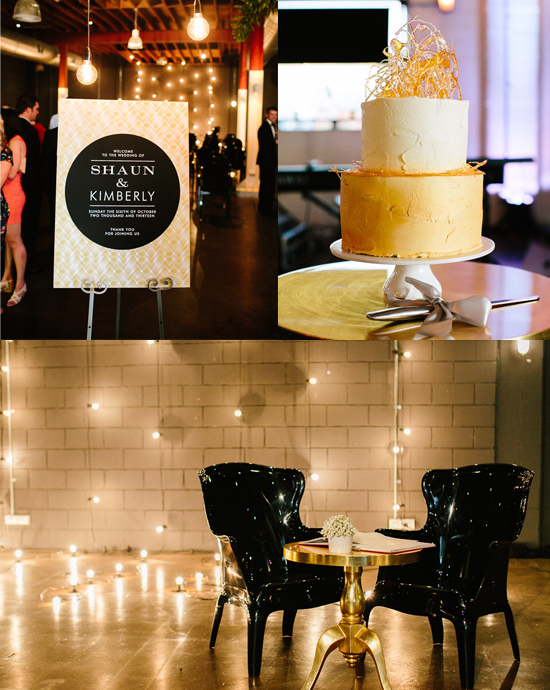 w+w: We meet a lot of modern couples looking for urban spaces to house their wedding. A blank canvas is really appealing to couples as they can create their own wedding style without compromising on existing carpet, chairs and decor already in place at other venues and hotels. The perfect blank canvas location is Lightspace. Just a stone throw away from the w+w headquarters, the gals have painted some truly inspiring and unforgettable weddings on this canvas! 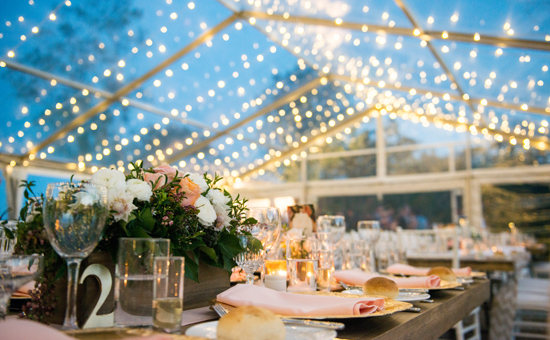 w+w: Marquee weddings on private properties are beautiful occasions. Usually set in an idyllic location with rolling hills and breath taking views for guests to take in. 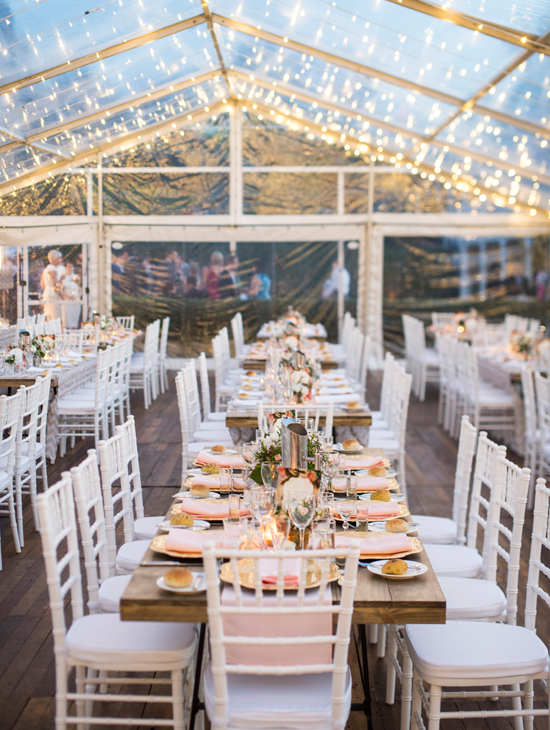 However, we have seen a change in style when it comes to marque weddings — couples are moving away from the traditional, white, silk-lined marque to a beautifully lit, modern, clear marquee. There is nothing like dining under the stars! Styling inside the marquee is also evolving with a move towards an old world french combined with a baroque look. Modern and relaxed styles are incorporating wooden flooring, timber exposed tables, coloured floral pieces, coloured linens, and even some sequined numbers! 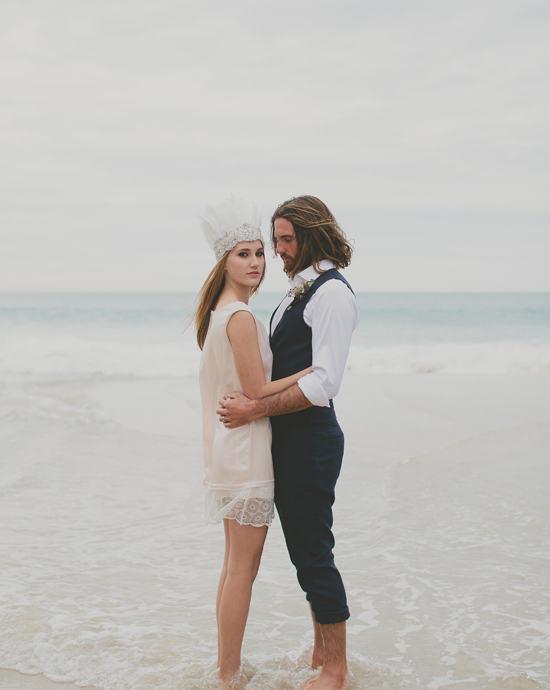 w+w: Couples are packing their bags and heading to coasts and abroad for the wedding experience of a lifetime. Although many venues offer an in-house coordinator, a planner on the same time zone is hard to beat. That's where w+w comes into the planning picture. Stylish travelling is one of their most passionate projects and they have sourced some of the most beautiful spots in the world to celebrate your occasion. Their in-house destination specialist can help you plan the most extraordinary trip you will ever take, with heaps of expert travel advice to make your destination decision that little bit easier. We take your dreams and make them a reality, taking away the stress of organising your guests for the trip of a lifetime. TUL: 'Personalisation' is probably the best way to sum up what's happening in weddings at the moment. How are couples setting their special day apart? w+w: We always strive to create a unique wedding style and experience for each couple. It is important to get to know couples during the planning process to create a day that is exclusive to them and their guests. Some of the most unforgettable wedding days have included: champagne towers, fireworks, indoor trees and gazebos, chandeliers, overhead floral ladders, and fun games for the guests. An element of personalisation can often mean a special space for guests to relax. Imagine a Groom's Scotch and Cigar Bar for the men while the ladies sip on champagne at their very own champagne bar and get touched up at the Pamper Room. w+w: Incorporate some fun food stations for your guests to add something different, whether it is canapés, dessert, or a late night feast! w+w favourites include interactive charcuterie and seafood stations with an attentive chef explaining the delicacies and creating a tasting sensation for each individual guest. 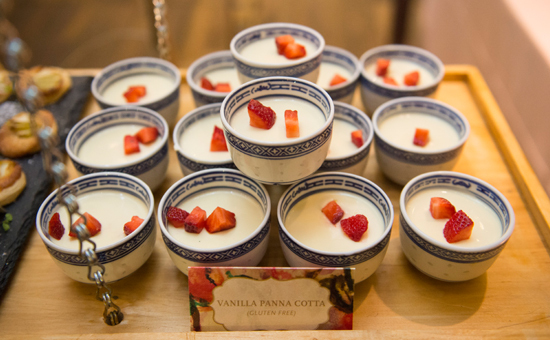 Also on the list are high tea, yum cha, tapas, and paella – whatever you can imagine! 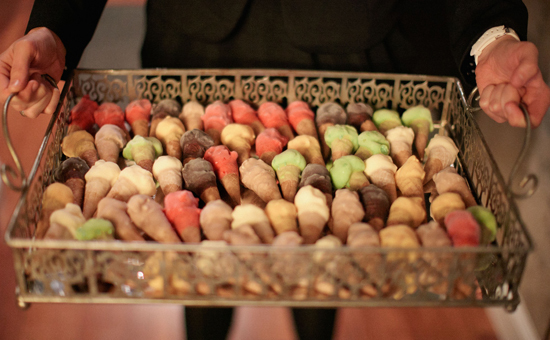 Moving onto dessert… Dessert or lolly stations have been a popular trend on the wedding scene, however, w+w have put their own twist on this trend — serving guests dessert suspended on planks, reintroducing the traditional chocolate fountain, and serving late night mini gelato cones on silver trays. Last but certainly not least… the raging success that is the Late Night Feast! This is perfect for guests who love to dance late into the night and anyone who appreciates a midnight snack. Glazed ham with fresh bread and gourmet condiments is just what is in order after a night of dancing! w+w: These days, the 'suit' is as important as the dress. With custom tailors taking the forefront, the suit has taken on its own style trends. We are seeing much more colour, print, and tones on show. 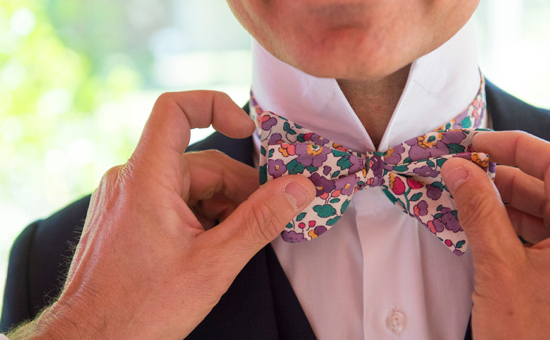 The bowtie has made a huge comeback and adds even more style in a bold pattern. And don't forget the suspenders! They are perfect for a laid-back country setting, or just to add some character to your suit. A groom recently hosted a Cigar, Scotch, and Sinatra afternoon, where all groomsmen, family and friends were invited to come along and sample some fabrics and styles accompanied by some fine scotch and cigars. I guess you can call it a man's equivalent to the 'Tupperware' party. And don't forget the second jacket trend. Our gorgeous brides often change into a more comfortable slinky number for the dancing component of the night — why can't our men? Grooms are also opting for a dress change into a more casual (and often colorful) number to dance the night away in! w+w: Couples are no longer relying on family friends to run around on the day to help set tables, pick up items, and manage suppliers. They are investing in an on-the-day-coordinator to take the reins a month out. Managing your booked suppliers, organising the day's schedule, and being there from the start to the end of your wedding day — ensuring your day runs seamlessly. This is a cost-effective sanity buster that all couples must have. It is also the perfect gift to give to an engaged friend — she will be forever grateful, trust us! TUL Note: Today's List Love post is proudly sponsored by white+white and endorsed by The Urban List. Our sponsored posts will never be a secret - the List Love seal will be stamped on any sponsored material you see on the site. Thank you for supporting the sponsors who make The Urban List possible.